Helen Ross, a twenty-nine-year-old biologist, is sent to a sleepy Rocky Mountain ranching town to defend a pack of wolves from those who want to destroy them. For in Hope, Montana, a century ago, the wolf was slaughtered to extinction, and though they're now protected by law as an endangered species, the old hatred runs deep. Alone in this hostile place, bruised by a broken love affair, Helen struggles for self-esteem and survival, embarking on a dangerous alliance with the son of her most ferocious opponent, the brutal and charismatic Buck Calder. The fire that was to change so many lives started with a single shaft of lightning. It struck on a still and moonless night and cocooned for a while in the heart of an ancient pine. The woman camped nearby with her group of troubled teenagers slept on, hearing nothing. But one among them would be lost forever. For soon the pupa of fire would hatch and engulf the entire mountain. Into this inferno will come the Smoke Jumper. Two backcountry skiers find the body of a young woman embedded in the ice of a remote mountain creek. All through the night police work with arc lights and chainsaws to prise her out. Identifying her doesn't take so long. Abbie Cooper is wanted for murder and her picture is on law enforcement computers all across America. But how did she die? And what was the trail of events that led this golden child of a loving family so tragically astray? A revolutionary approach to the techniques of working with horses, by a renowned instructor. 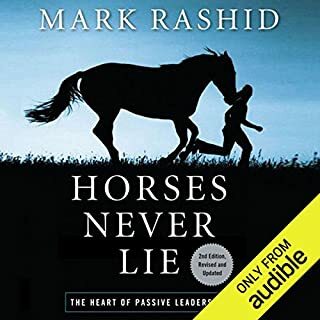 In Horses Never Lie, renowned horse trainer Mark Rashid challenges the conventional wisdom of "alpha leadership" and teaches the listener to become a "passive leader" - a counterpart to the kind of horse other members of a herd choose to associate with and to follow. Applying Rashid’s principles and techniques helps cultivate horse personalities that are responsive and dependable regardless of the rider. 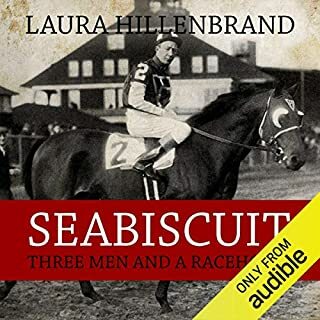 Winner of the William Hill Sports Book of the Year Award and the basis of a major film adaptation, Seabiscuit is the true story of three men and their dreams for one racehorse. 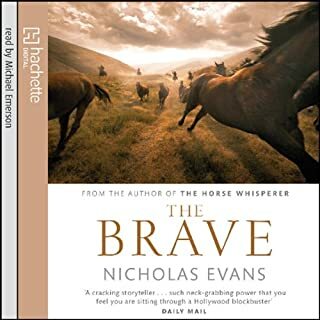 A story that symbolises a pivotal moment in US history, as modern America was born out of the crucible of the Depression and the new century’s greatest nation found the courage to bet on itself to win against the odds. In 1936, the habits of 19th-century America were finally consigned to history just as Margaret Mitchell’s Gone with the Wind was published. Born into the lowest class of her society, Flora 717 is a sanitation bee, only fit to clean her orchard hive. Living to accept, obey and serve, she is prepared to sacrifice everything for her beloved holy mother, the Queen. But Flora is not like other bees. Despite her ugliness she has talents that are not typical of her kin. 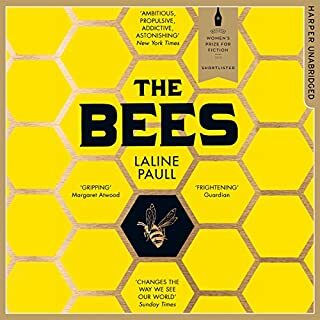 While mutant bees are usually instantly destroyed, Flora is removed from sanitation duty and is allowed to feed the newborns, before becoming a forager, collecting pollen on the wing. She also finds her way into the Queen's inner sanctum, where she discovers secrets both sublime and ominous. A great read, deserving of prizes. Some moments can change your life for ever. Have you ever wondered, what if....? A man is walking down a country lane. A woman, cycling towards him, swerves to avoid a dog. On that moment their future hinges. There are three possible outcomes, three small decisions that could determine the rest of their lives. 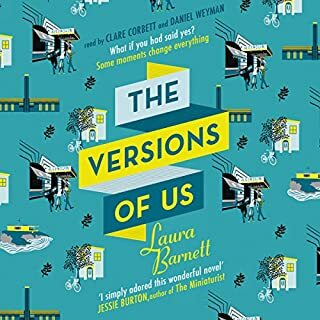 Eva and Jim are 19 and students at Cambridge when their paths first cross in 1958. And then there is David, Eva's then lover, an ambitious actor who loves Eva deeply. In a snow-covered morning in upstate New York, a girl out riding her horse is hit by a 40-ton truck. Though horribly injured, both 13-year-old Grace and her horse Pilgrim survive. 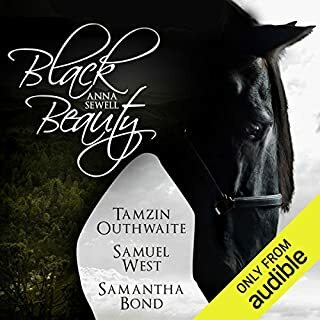 Annie, Grace's mother, refuses to have Pilgrim destroyed and hears about a man in Montana, a 'whisperer' who is said to have the gift of healing troubled horses. They set off across the continent to find him and there, under the massive Montana sky, all their lives are changed forever. 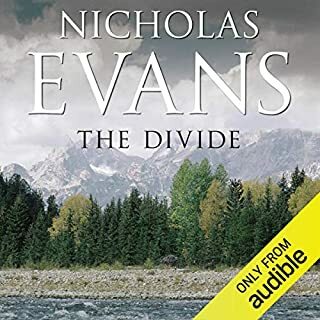 ©1995 Nicholas Evans (P)2014 Audible, Inc. The Horse Whisperer is a beautiful descriptive story that is very well worked and gently woven together. In the manner of true penmanship the author encourages the reader to form emotional ties and develop familiar relationships with the story’s characters, which are excellently created and brilliantly portrayed. It is a tale that expresses the human condition and our basic need for love, healing and acceptance and how that which is thought to be damaged and broken beyond repair can be the catalyst in completing the circle of life as we know it to be. One Of The Best I've Read. 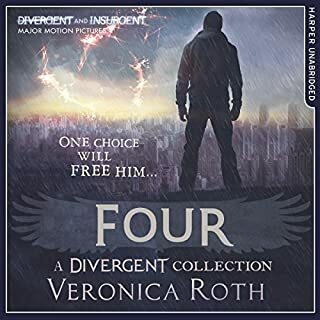 The author's descriptions are so vivid, so absolutely beautiful, from the breath taking views of Montana to the characters, their feelings and situations! His portrayal of the romantic scenes left me feeling I'd witnessed it all and longing for those same situations and surroundings. One RealHeartstring grabber of a book! 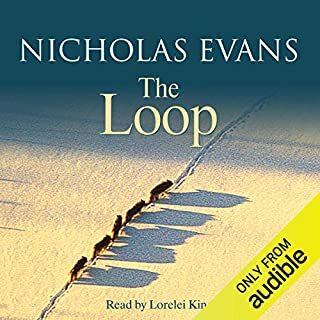 Evans' eloquent and mitilayer narrative makes this story both heartt breaking and beautiful, loved it! 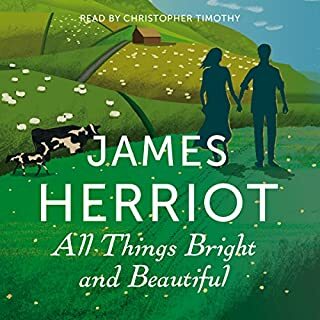 I tried and tried, but the narrator’s voice for the women sounded loud, annoying and camp, and he made the male characters sound like arrogant, rude idiots. I gave up. There was nothing I disliked. 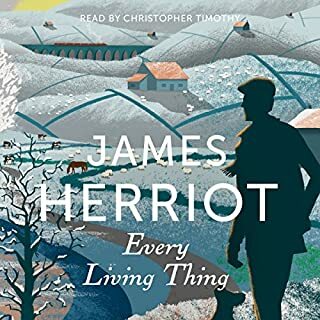 Really good story, wonderfully told by the narrator, spellbinding, mesmerising! Much better than the film, although the film is good. If you could sum up The Horse Whisperer in three words, what would they be? Combination of human/animal narrative and atmospheric Wild West setting. I loved the description of the night out under the stars on the cattle drive. 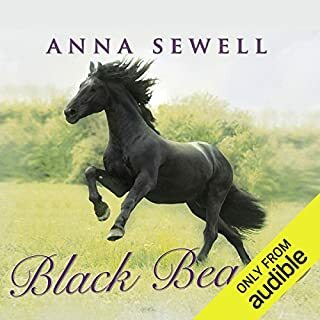 I have not quite finished listening to it yet, but the scene in which Grace has her first ride on horseback was touching, however, I think there may be a weepy scene ahead! 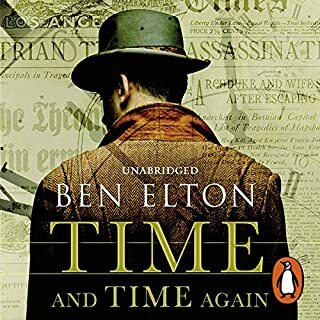 Beautifully read, and I now have a small crush on Tom Booker as a result of the lovely characterisation by the narrator, William Dufris. Always thought the movie was great but suspected the ending had been altered. Now I know. Now I know these characters even more. I barely give this book four stars. When it is good, it is very, very good--and it is mostly that. But it has some really glaring flaws. 1) It often lapses into schmaltz and there is almost never a moment that isn't charged with emotion--this often rings false. 2) Plenty of reader-baiting (knowing references to the election of Nixon, an elbow thrown at Reagan, subtle smug shots at anything from Arkansas rednecks to Montana preachers). 3) Obvious symbols worthy of Hawthorne--the severed wing, the twin rivers...oh, just too many to name. In short, a book that COULD have been great, say, in the hands of Steinbeck. Dufris does a fine job with Evans' unsettling story. Frankly, I find Annie to be one of the most unlikable heroines I have yet to experience in a post-WW2 novel. For all her talents and smarts, she is one unthinking, self centered, thoughtless, selfish person. She has to be to justify what she does in this story to her Husband (granted, not perfect himself,..but who is?) and Grace her daughter whose climatic reaction is scary, but totally understandable considering how betrayed she felt under such fragile mental circumstances. I found it despicable, and, as a man who loves marriage and embraces its challenges, Evans gives a story on "how not" to deal with "10+ marriage platitude." My message to you as you thumb through this head,-shaking story of a married woman with dangerously low self esteem: Affairs are NEVER justifiable no matter what, especially as a form of vindication marriage is for real problem solvers, not stupid people. Forgive...forgive...forgive...a sad story. Would you try another book from Nicholas Evans and/or William Dufris? I would not purchase another book read by William Dufris. 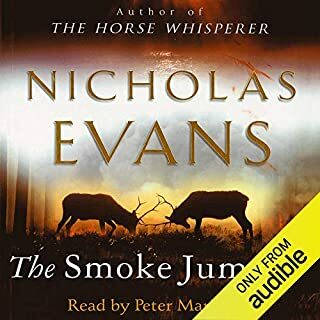 The Horse Whisperer has been a favorite audiobook of mine since I owned it on CD, narrated by the marvelous Peter Coyote. 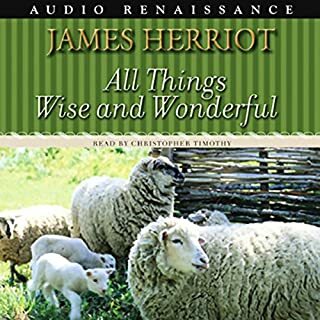 Having long since misplaced my CD's of the original audiobook, I was disappointed to find the Audible.com version of Peter Coyote's recording in such bad quality. I settled for this version. 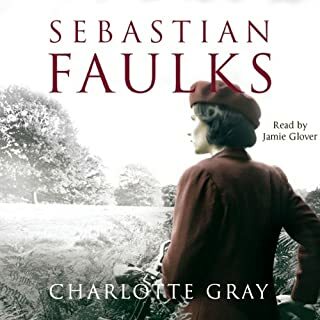 While, at first, I did not particularly enjoy Dufris, I waited it out as one must do when listening to an unfamiliar narrator. However with the introduction of each new character I cringed at the narrator's choices. It was Tom Booker that made me stop the book, however. Dufris' comical rendition of the mid-western Horse Whisperer was distracting and, frankly, insulting. I'm not sure why a producer would have approved for a character with as much text as Tom Booker to be read so poorly. Was The Horse Whisperer worth the listening time? Yes, if you can find Peter Coyote's original recording in better quality. 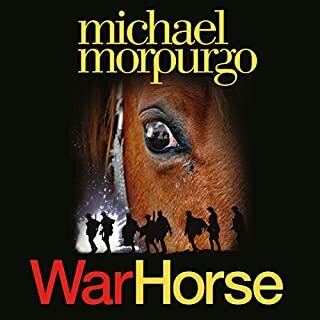 I fully recommend The Horse Whisperer as a novel. I simply found William Dufris's version to be unlistenable. much more satifying than the movie was, but it really should have been read by a male and female narrator. The story is a bit slow, but the reader does a great job with the material he has. The story is ultimately a good one. Enjoy! The come-on of the mysterious title, "Horse Whisperer" failed to deliver the satisfaction of a solid story. The story needed to develop its characters so the listener could understand why certain critical decisions were made. Too little was said about the "Horse Whisperer's" equestrian nuances and background regarding the command of his uncommon craft. The occasional insertions of romantic/sexual interludes were mostly gratuitous "Harlequin Romance Novel" style descriptions, hacked out to provide some perfunctory explanations of more important clues, to be revealed later in the story. Melodramatic ending, again diminished by the character underdevelopment of the "Horse Whisperer." I kept waiting for the story to redeem itself or pull itself out of the miasma, only to be sorely disappointed by the resolution in the end. 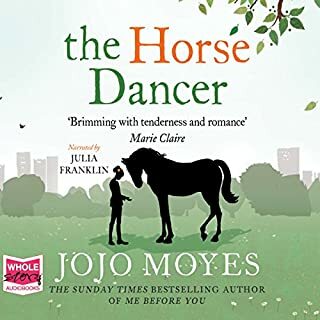 Has The Horse Whisperer turned you off from other books in this genre? It has turned me off from any other future novels by this author. The genre shall stand for itself untainted, as there are both good and bad renditions by other authors and narrators. The narration was grating and disingenuous; the characters became a mix of overdone vaudevillian caricatures. I could hardly stand to hear the story unfold because of his over-exaggerated, irritating characterizations. The book itself is enjoyable if a little cheesy, but listening to William Dufris narrate it almost ruins it. Every voice is a caricature of what it should be, especially Annie and Grace. It made me cringe. I had always trusted the narrations before, but this will teach me to listen to a sample. Perhaps a little drawn out in places. 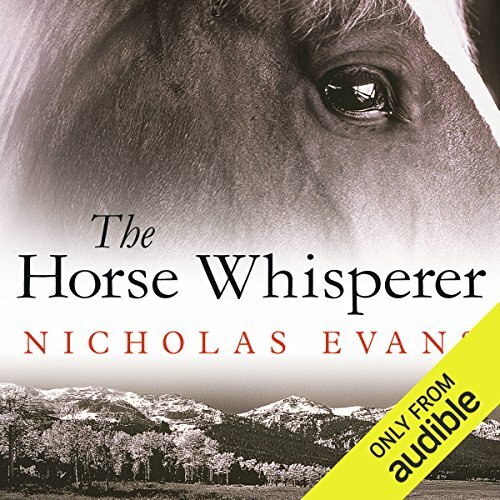 Would you listen to The Horse Whisperer again? Why? No, because it takes a long time. That girl & horse could survive & ever get well. Sorry, haven't had much time over Christmas to read the book.